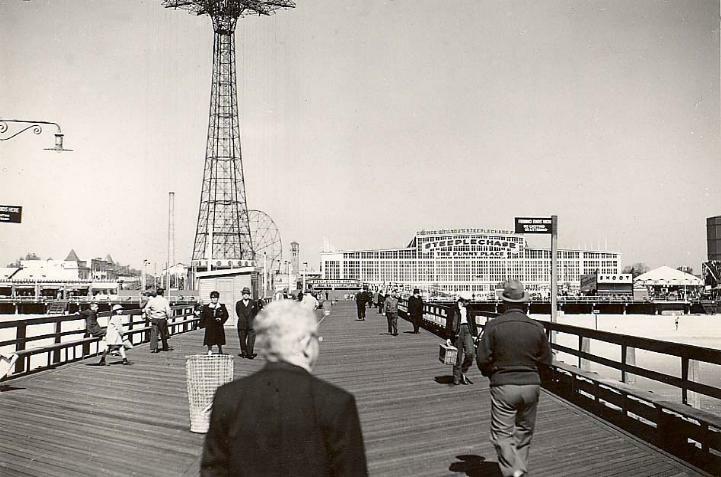 I was born at the end of World War II in Coney Island, Brooklyn, NY, but almost immediately my parents moved to the Bronx, not far from Yankee Stadium, where I lived until 1965. That year we moved to Flushing, NY, where I lived while attending law school from 1965 to 1968. I spent the first 23 years of my life in New York City, and was educated in the Bronx, Manhattan, and Brooklyn. When I graduated from Brooklyn Law School in 1968, I chose to work for the federal government in Washington, DC, and spent the next 13 years living in Alexandria and Arlington, Virginia. In 1975, I was married in Richmond, VA, my wife's home town. We lived in Connecticut from the end of 1981 until May 2013. I worked for the federal government in both New York City and New Haven, CT from late 1981 until November 2012, when I retired. I worked as a lawyer and judge for over 44 years. I retired as of the end of November 2012, and we moved to the Albuquerque, NM, area in May 2013. This website is not about my profession, but rather about my interests, which include photography, movies, baseball, women's basketball, and computer graphics. 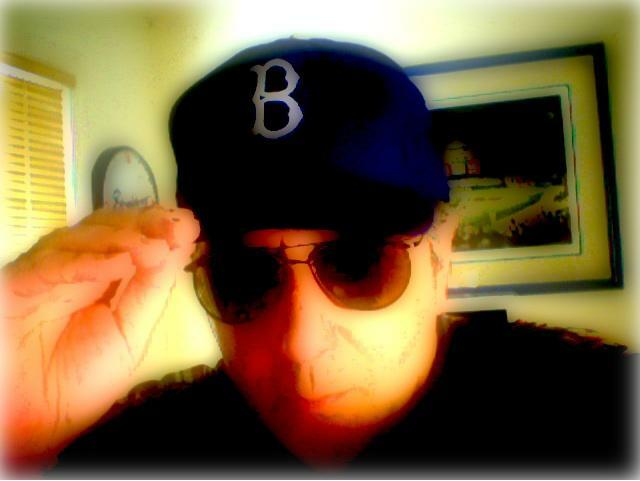 I am a big fan of the Los Angeles Dodgers, having started with the Brooklyn Dodgers in 1952. The Dodgers have been a lifetime passion.. The name "Roy Dodger" was the original screen name I chose when I was on America Online and I continued using it when I created my own Internet domain. In 2003, I found a new sports interest. My wife and I became passionate fans of the incredible University of Connecticut women's basketball team thanks to the fact that virtually all of their games were televised (currently on SNY, formerly on Connecticut Public TV, as well as on ESPN and other sports networks). We have had the good fortune to watch great players like Diana Taurasi, Renee Montgomery, Tina Charles, Maya Moore, Kaleena Mosqueda-Lewis, Moriah Jefferson, Morgan Tuck, Breanna Stewart, Katie Lou Samuelson, Kia Nurse, Napheesa Collier, and Gabby Williams. My interest in photography began while watching my father enlarge and develop his pictures in a tiny darkroom we had in our apartment in the Bronx. I inherited a couple of boxes of his photos. Every once in a while I search through them to see if I can find some of his more interesting and artistic achievements. Many are family photos of the sort you might see in any family photo album of that era, and others are quite unusual, especially since my father worked in black and white and made his own prints. One of his favorite subjects appears to have been street scenes. It is as if he knew that the scenes and automobiles in them would inevitably change, making these photos increasingly fascinating from an historic point of view. He also loved city landmarks. 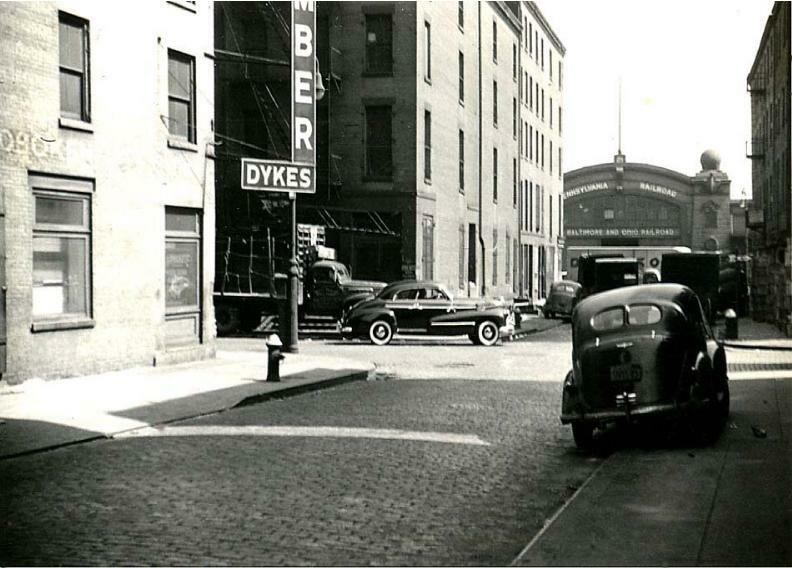 Below are some photos taken by my father in the 1940s. For a gallery of more of my father's photos, click here. This is Manhattan and appears to be on the west side near the old piers. Yes, these are real gas prices and it was 23.9 cents! 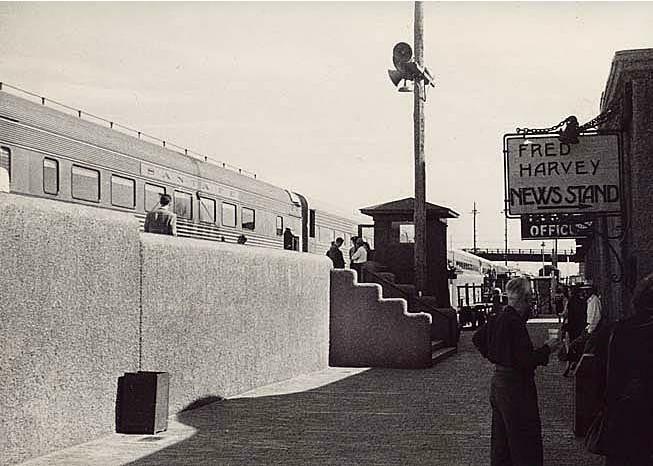 A Santa Fe train sitting in the station in Albuquerque, NM. I'm not sure when this was taken or under what circumstances, but Albuquerque was to become my family's home as of the end of 1970, and my home as of May 2013. 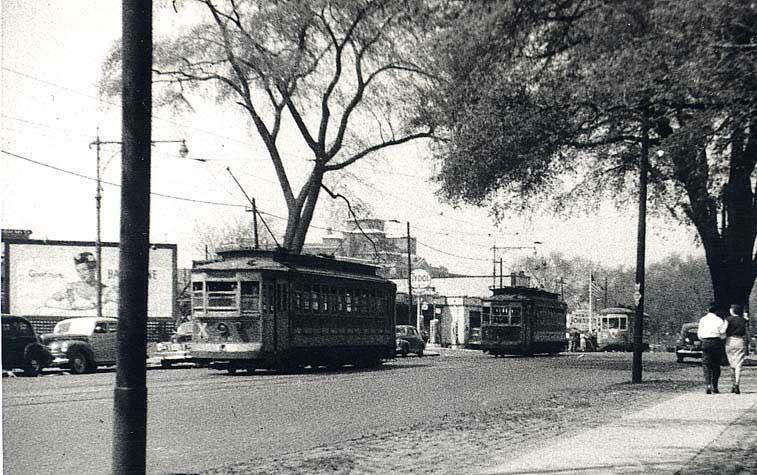 A trolley line somewhere in New York City. 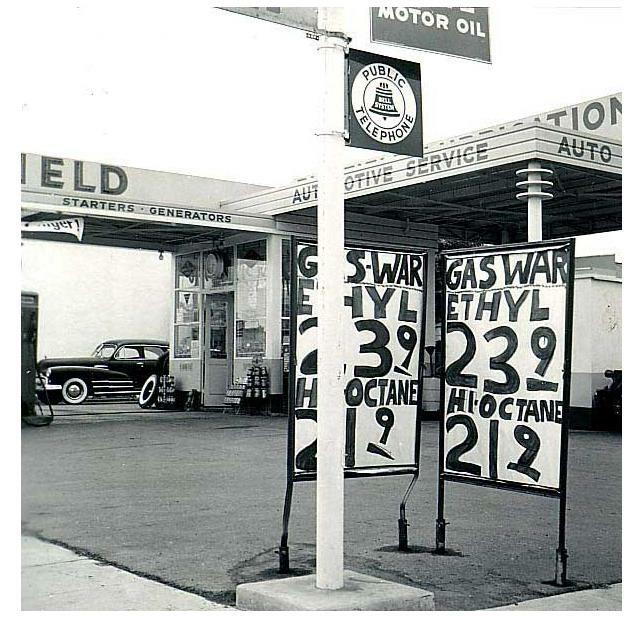 Notice the Tydol brand gasoline sign.